As for the global theme- this was the plan all along. It case someone has not realized yet all the major corporations and finical powers are pushing for a more global run world. It’s the reason they set up the UN, sign trade agreements and all kinds of treaties. The true powers that be couldn’t care less about any one country. They want a one world set of rules, money and governance. Cars 1 was to hook us in. Now Cars two is too further the global agenda. As for all the haters, complainers or people who don’t want to collect anymore- whatever. Maybe stamp collecting and reruns of lost will work better for you. The glass is always half full around here. The new movie will be great to us. Regardless of what anyone else says. We will continue to collect them all and are real excited at the new styles of new diecast releases that will come from a new movie. Go Pixar Cars! As Martin would say. I surprised Manifold Jr. with this trailer this morning. He loved it! He says, ” Cars 2?! That… that means there will be MORE Cars!” IE Cars 2, Cars 3, Cars 4…. Ha ha ha. 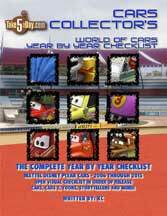 I am willing to bet money we get airport security mcqueen, mater and about a dozen others after seeing that short. I couldn’t help but laugh seeing that car going through the metal detector with no tires and a set of tires laying on the belt. Chase cars from that scene are almost a guarantee. Finally some positivity about this movie. I am so SICK of reading on animation blogs/websites all the negative comments and hate towards Cars and the whole franchise. May our wallets be fat and our self control be strong! (MET: Hating CARS is like hating Santa Claus …). –Hating Cars is like hating Santa Claus– LOL. I too have seen negativity on the Movie. It irkes me because this was and will hopefully always be my favorite Movie. I don’t see why everyone has to hate it so much! But whatever… hopefully this Movie will set their feelings higher. Yeeeeaaaaahh! Can’t wait to show this trailer to my 4 yr old! This will be his first movie at a theatre – can’t wait for summer!! (MET: Sweet! That’s a cool way to start the movie going experience! 🙂 ). The car at the beginning with glasses is a 1956-57 Janus built and powered by a Zundapp two stroke motour. A very obscure microcar from Germany and very cool!! I’m excieted, but it shouldn’t be Cars 2. It has nothing to do with number one. Mater needs red paint from Ramone to be McQ’s crew chief. But, I wish it was Piston Cup related. I only care for Piston Cup. For me, the opening scen of Cars with the Piston Cup race was my favorite part. 1. The Piston Cup has been done. 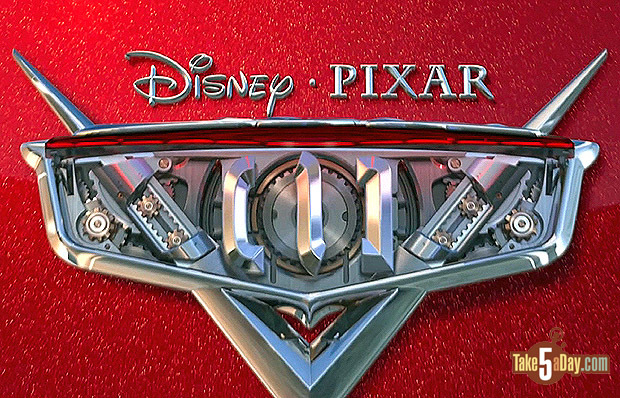 Done very well, of course — Pixar got the little NASCAR details just right — but done. Hard to see much room left for a sequel in that storyline. 2. the international appeal — and therefore Disney’s, Pixar’s. and Mattel’s profits — would be limited. The sequel needs to cover new ground with a broader appeal. I have no doibt that Pixar will get the details just as “right” with this movie as they did witth the original. JL is a car guy after all! I for one am hoping for “voice cameos” from the likes of Jeremy Clarkson, Richard Hammond and James May; maybe Sabine Schmitz; now that would be cool! Hmm…no full body scanning at the airport. I did notice the TSA were Scion XBs! If you think there are a lot of diecast Cars toys to buy from Cars 1…Just wait until you see what they have planned for Cars 2 ! 😉 You ain’t seen nothing yet! I’m totally out. Really looking forward to seeing the movie. Definitely not buying any of the diecast. wonder how ‘Allinol’ plays in the movie…. It seems to be plastered all over the trailer. (MET: So, you’re saying – they beat you to it? 😛 ). Hopefully there’s more coming, but from what I’m seeing thus far-and I’m sorry fans-YAWN. Looks like a rental. I’ll stick to the original any day. It was a yellow C6-R racer. I think that is ‘Jeff Gorvette’. His diecast car is already being sold on eBay. I looked everyday for that Jeff Gorvette since I heard about it… never saw it… please shot a link if you see it agai. mattel has been shutting those auctions down for copyright infringement reasons….- backdoor thefts maybe??? I was pleasantly surprised when i went to Yahoo and Cars 2 was the front page news! This is cool. I am betting there will be a variant mcQueen for each race to maximize toy sales. (MET: Yea, anyone who says I’m out – we will hold them to it – but as long as they buy them and trade them to us, they’ll still get a slice of pie at Christmas … 🙂 ). Michael Caine certainly has a distinctive voice, doesn’t he? Finn MacMissle is his character’s name, if I’m not mistaken. I heard the same thing. and he pronounces it with a long i. Does McQueen have real headlights? I’m no racing expert, but I think there are night time races overseas and headlights are necessary… He might be racing on tracks that are not always lit like Rusty’s brother! New sponsor in the third picture: allinol. Saw the Dinoco logo on one of the neon moving signs, very briefly. Mcqueen sports a Piston Cup on his hood. He was only replaced for the shorts, as they had to find a fill-in after his personal issues some time ago. But he’s been on board for some time to return for Cars 2. “Sorry lady!” That was funny! Looking forward to seeing the Movie…but definately won’t collect the toys this time. a Gremlin & a Pacer. actually looks as all of the goons are a mix of Pacers and Gremlins. Awesome. I wonder who is the voice of McQueen? Owen Wilson, same as the first movie. He wasn’t used for the shorts, I’m sure in part due to his personal issues some time back, but he was still signed up for Cars 2 and said he had every intention of returning as McQueen. Has anybody seen or know where is the Target Disney Cars Christmas 5 pack ?